ABERLA Industrial Company is a manufacturer and exporter in the fields of Hand tools, automotive repair tools for many years, and supplying quality products into worldwide markets. 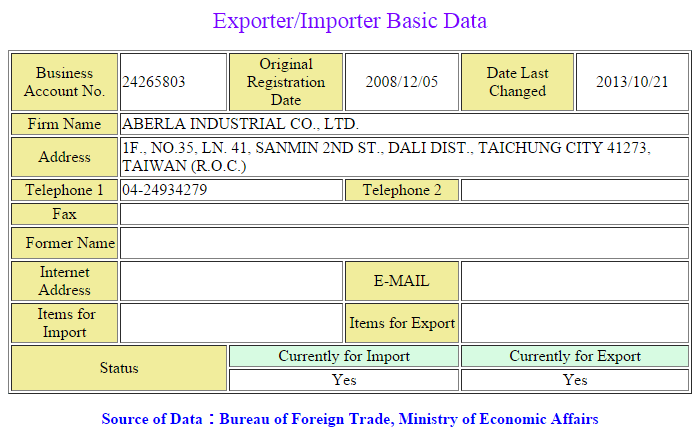 We export products from Taiwan; also provide customers with the best sourcing service. And we also do OEM as per customer inquiry too. We provide our customers with the quality product at the most competitive price, and steady do innovation, professional and characteristic design to our products. We doing quality control inspection to ensure we provide high quality products with reasonable price and after sales service for all our customers. We are sure we are the best choice if you want to do business with. For any further information or question you may have, we will do our best to feed you back immediately. Contact us at any time! We are always here.